In today's developing world, there's now a solution to almost every problem! Every small product, starts of as an idea and before you know they're a million dollar franchise. Similarly, to help dogs today we have everything from dog helmets to dog wheelchairs, and now we have doggles! ​So what are doggles? Well they're nothing but goggles for dogs! Research shows that long hours in sunlight without any form of protections leads to higher chances of developing eye conditions. Thus, were invented doggles, a sunglass brand which is created for dogs to help them to protect against sunlight, dirt and other elements? They take the shape of a tinted goggle and fit perfectly around the head of the dog. Though, they're generally considered a fashion accessory they have many other medical and practical uses. They've also been known to help dogs with eyesight problems as they now include the option of prescription lenses. Doggles have faced a lot of criticism over the years and despite making it in the list of the "most useless inventions ever" by the Daily Mail, they've made millions of dollars worldwide and continue to be sold in over 16 countries today. ​Invented and Pioneered by the famous Roni D. Lull﻿o, the Doggles Company now produces millions of them, which are sold worldwide. Roni came up with this idea when she saw Midnight, her dog, finding it difficult to face the sun. A series of experiments were carried out using sunglasses worn by human and swimming goggles till a hybrid was designed to fit exactly the shape of any dogs head. ​As aforementioned, they are a hybrid between sunglasses worn by human and swimming goggles. They are created out of the material of tinted polycarbonate to protect against UV rays and have straps of elastic to help adjust and secure them on the dogs head. They have two adjustable straps, one around the head and one under the chin. The strap under the chin, wraps around the chin and snaps into place, to prevent it from movement and tightening it in the process. The straps are made of plush elastic and the inside of the frames are lined with a foam padding to keep the dog comfortable. The frames are also flexible and will take the shape of the dogs face. The lenses in the frames are shatterproof and anti-fog. 1. Military dogs - In 2004, Army dos in the U.S army were supplied with doggles in Iraq to help protect their eyes against the harsh desert sandstorms there and also, the piercing sunlight. 2. Dry eyes- In a form of an uncommon autoimmune disease that prevents dogs from forming tears, doggles have helped prevent the drying out of the eyes. 3. Eye condition - In some ophthalmological conditions, some debris lies floating in the eyes of the dog and when being exposed to sunlight, they yelp and snarl thus, doggles have helped prevent this discomfort. 4. Pannus - One of the most common eye diseases that riddles dogs is Pannus. Dogs with Pannus are highly recommended to stay indoors and protect their eyes from direct contact with sunlight. But there exist some species of dogs who cannot stay indoors during the day, so for them the easiest solution is doggles! 5. Motorcycle rides - Some people enjoy taking their dogs on long motorcycle rides but to ensure the utmost safety for their dog they need to invest in dog helmets and other protective gear. Amongst this, to protect their dog against debris and the wind comes doggles. Slide the goggles over the bridge of your dog's muzzle and adjust the chinstrap beneath it. Slowly, pull the top strap over the ears and behind them. Adjust them so they fit over the dogs face properly and comfortably. Adjust the straps so they fit around the face just right, not too tight, not too loose. Do not attempt to make them wear it indoors. It gets more difficult for to view anything indoors with dark tinted glasses and they may get alarmed. While first trying them out, don't allow them to paw at them or roll them off. Reassure your dog that it will be okay and immediately take them out so they understand they can see with them on. Try taking him/her out for a walk or giving them treats to get their mind off it. Try making it a routine. Continue making them wear the doggles, day after day, every time you go out. Recently, Doggles has also started the manufacture of corrective lenses for dogs who can't see beyond their nose. These veterinary approved canine glasses can help give many dogs the gift of sight again. To help determine whether or not these corrective lenses actually work the owner has to carefully observe the dog for a few days as well as, ask the dog to identify familiar objects for example his/her favorite toy. Doggles also provides a certain type of solid black lenses for dogs who are blind.Before buying a pair of doggles, it's recommended to visit a vet and esnsure that it is the right choice for your dog. Doggles can be found online or in specific dog stores and the range starts from $5.00. If possible, take your pet along so you can ensure it fits just right. Doggles are an advancement for dogs, not only do they help protect their eyes against sunlight and dirt but they also help make a fashion statement! Next articleHow To Handle If Your Dog’s Breath Smells Like Poop? Do You know The 13 Biggest Cat Breeds In The World? How to Introduce Two Cats? 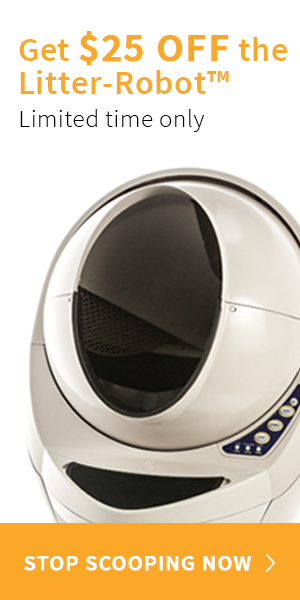 Expert Review On Ergo’s Auto Pet Feeder: Is It The Best Option?